The Pioneer Museum in Fredericksburg invites everyone to help celebrate 2011 Preservation Week with its popular Holiday Home Tour and Tannenbaum Ball. Set the calendar for 2011 Fredericksburg Holiday Home Tour and Ball! 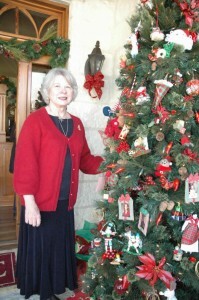 Tannenbaum Ball – Saturday, December 10, 2011, 7 p.m.
Holiday Home Tour – Saturday, December 3, 2011, Noon – 6 p.m.
Reserve the date for the largest annual fundraiser for the Gillespie County Historical Society, known for the Pioneer Museum Complex on Main Streetin historicFredericksburg,Texas. Walk through some ofFredericksburg’s most striking homes decorated for the holidays, featuring historic properties and homes with unique architectural features. Enjoy an elegant evening with catered meal, live entertainment, dancing, raffle, and auction. The Gillespie County Historical Society, whose mission is to preserve and tell the story ofFredericksburg’s unique cultural heritage. /wp-content/uploads/logo-new4.png 0 0 Jeff /wp-content/uploads/logo-new4.png Jeff2011-08-01 09:03:142015-04-21 17:49:21Set The Date!